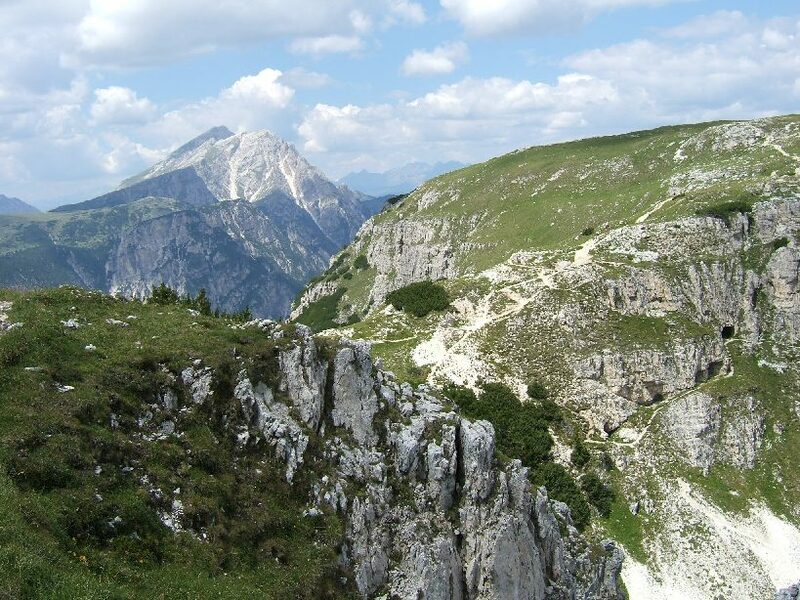 During the First World War the Austrians and Italians fought over this flat topped mountain. 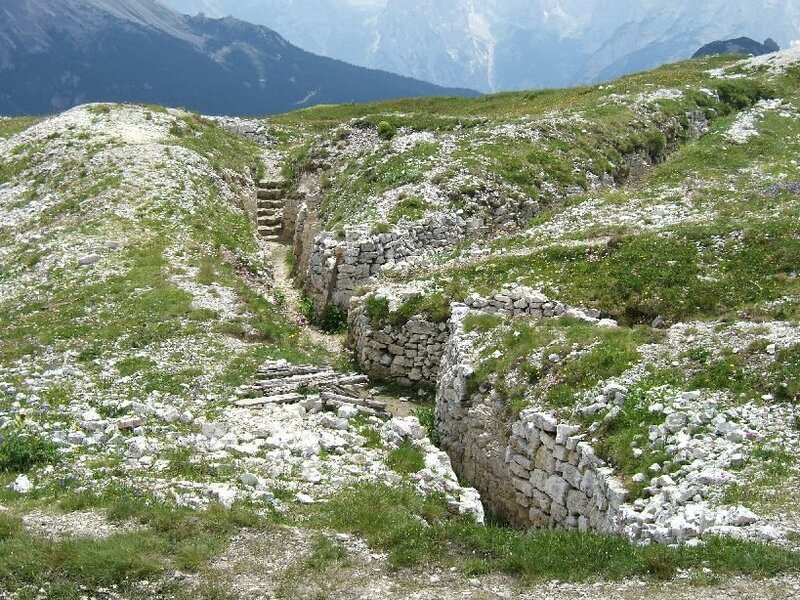 The Italians had one part of the plateau and the Austrians the other. A narrow bridge called the Forcella dei Castrati [?] connected the two parts. You can see the two parts and the bridge in the photograph below. The plateau is now an open air WW1 museum, with reconstructed trenches and bunkers. A former Italian military road runs up from a car park near Lake Misurina to Refuge Bosi at 2206 meters. Private vehicles are not allowed on this road, so you must either walk up or take a shuttle bus. These buses give a fast and exciting ride. The road runs around the side of the mountain and is steep and narrow, with no barriers between the road and eternity. Refuge Bose has a small museum that is worth visiting at some point. From the refuge take path n.122 which runs off to the left. 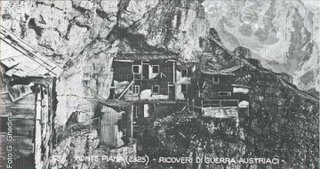 This runs around the edge of the plateau and passes a number of tunnels and bunkers created by the Italians during the war. A torch is useful at this point. 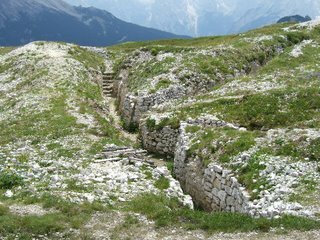 Once on the plateau there are lots of paths and you can just roam around looking at the restored WWI trenches, tunnels and bunkers. 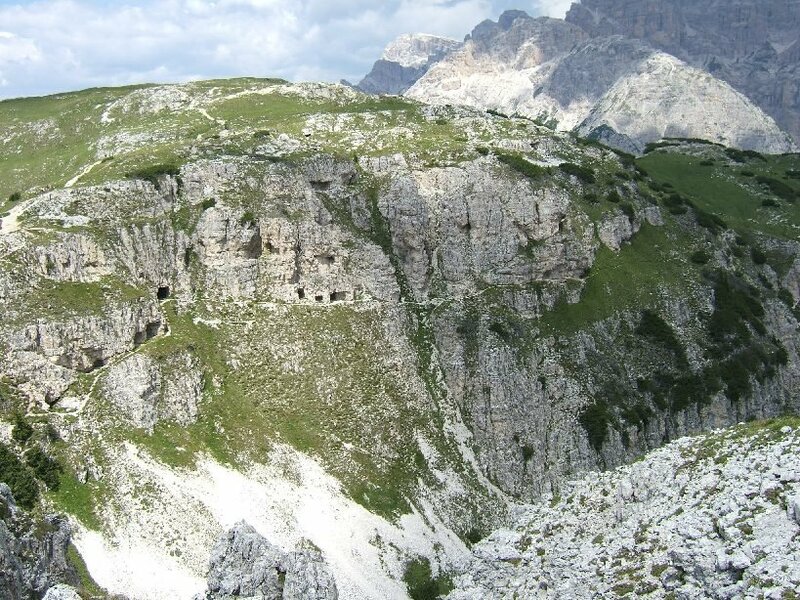 There is a marked historical trail which will lead you past the best bits.There are a couple of short stretches of grade one via ferrata in this area. My name is Leif and i live in Denmark. 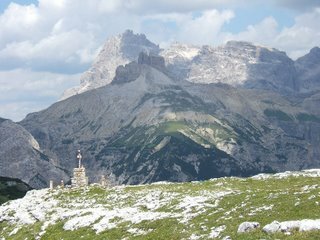 Wonderful landscape around the Dolomites:-) I have seen them once as a child in 1969, passing in a touristbus on my way to Venice for a vacation with my grandparents. Now i am trekking in the Swedish and Norvegian mountains whenever possible, and most recently in Greenland, were i live and work in periods. But i still have a dream of hiking in the Dolomites, because they are the most fantastic shaped mountains i have seen. I will never forget these peeks. Your photos was reminding me again. 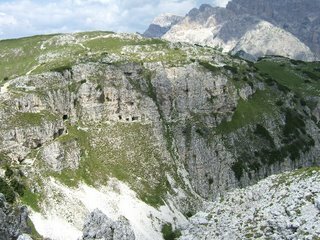 "The Italians had one part of the plateau and the Italians the other part." Which are the really dangerous drugs? When this world is not enough.